​Every big fight night, you’re all but guaranteed to see high-level boxers flocked by their teams. Usually, one member of these teams carries out a fighter’s prized memorabilia: championship belt(s). The ring announcer reminds the crowd which belts are at stake in the upcoming fight. And after all the smoke clears and the fight finishes, one man comes out on top, taking with him his own belt and that of the man he just beat. ​As pretty as belts are to look at, many in boxing argue that there are simply too many these days to care. 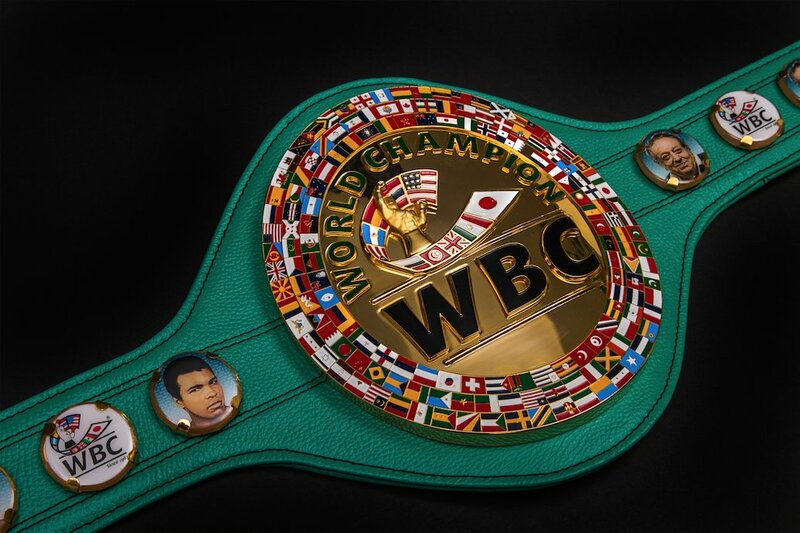 For the uninitiated, each division in boxing features four belts – the WBC, WBA, WBO, and IBF – and the more belts you possess, the more viable your argument is as the top dog at your weight. Yet each belt organization is free to make its own arbitrary standards. Not only do sub-top 5 fighters often win championships before the elite class, they garner an exaggerated profile as top-notch when, in reality, they’re far from that status. Furthermore, unifying titles to find a “true champion” rarely occurs. This is due to a lack of cooperation between sanctioning bodies and the unwillingness of fighters to challenge themselves further after winning a title. ​Even though the belt organizations run boxing like the Wild West and rankings are skewed, belts still offer boxers great amounts of promise. When a fighter reaches the pinnacle and wins his first championship, his role shifts from hunter to hunted. Since other fighters, now petition to fight for his crown, his bargaining power (and bank account) grow exponentially. Additionally, that fighter’s trainer becomes a championship trainer. Trainers such as Robert Garcia and Freddie Roach built deep stables of talent after they proved their merit with their initial championship-winning fighters. ​Belts represent opportunity, perseverance, and pride. While some might argue that four belts remain too many, to fighters that means four different routes to accomplishing a lifelong dream. Most boxers grow up envisioning themselves hoisting a belt victorious in the center of the ring; giving more opportunity to turn this into reality is a plus. And while boxing sabotages itself in failing to pit the best against the best, the belt framework brings us one step closer to that hope. If the organizations could just pass bylines together to coordinate unifications, cream of the crop matchups could become more frequent. Again, each step in this chain provides life-changing money for fighters, setting them up better for retirement. ​While it’s easy to point fingers at these sanctioning bodies for the issues in the sport, these groups have immense authority in a divided landscape. They control the incentives that drive fighters to fight: money, titles, notoriety, etc. Because of their standing, they can use their voices to advocate for improvements in boxing. The WBC has already taken some pivotal stands themselves. They decline to sanction professional fighters who decide to fight in the Olympics against amateurs. In addition, many fighting under WBC rules undergo rigorous VADA drug testing to ensure that no one cheats to the top. ​In the destabilized ecosystem that is boxing, change is necessary. Instead of looking at belts as symbols of evil, it might be more productive to view them as conduits of boxing growth. By making the self-serving characters in the fight game operate under reasonable regulations, our sport can grow closer to a proper framework similar to the NBA and NFL. Still, belts are boxing’s Stanley Cup or Lombardi Trophy, meaningful through the journey to obtain them. They should stay that way. Back on February 18, Spain’s Gabriel Campillo turned in a performance of a lifetime against the undefeated Tavoris Cloud. Unfortunately for Campillo, painfully inept judging by David Robertson and Joel Elizondo prevented him from becoming the new IBF Light Heavyweight Champion. While Elizondo’s card of 114-112 was bad enough, Robertson’s 116-110 card was downright laughable. Only judge Dennis Nelson got it right, scoring the contest for Campillo 115-111. Even with the split-decision loss, Campillo holds his head high, with his stock rising considerably. Boxing Insider caught up Gabriel Campillo this week to discuss the fight and much more. Check it out! Boxing Insider: First off, thank you for taking the time to answer my questions Gabriel! Can you tell me how you’re feeling now with time having passed since the fight with Cloud? Gabriel Campillo: “Hello! It’s a pleasure for me to have the opportunity of expressing myself and share with the boxing fans my opinions and thoughts. I feel so happy for how the fight was developed, I think we did very good work physically, technically and strategically. It could be said that the whole world has watched it, and so I am considered as one of the strongest at Light Heavyweight. So the outcome for me? It is positive. Boxing Insider: What are your overall feelings of the fight? Boxing Insider: Can you take me back to the first round? What happened with the knockdowns? Boxing Insider: After that first round, you dominated every second of every round. How did that happen? What did you do to adjust? Boxing Insider: What are your thoughts on Cloud as a fighter? Boxing Insider: I’m sure you want a rematch. Do you think you will get one? Gabriel Campillo: “The only reason I would like a rematch to happen is because I think it is the only way to get the title. It is not a matter of pride, because I really do think that I have already shown the world that I am far better than Cloud. I am not sure if there will be a rematch, but it would be so nice to get the title, and to offer the Spanish fans—and also the American fans who have supported me—another great fight. Boxing Insider: If you don’t get a rematch with Cloud, what will be next for you? Boxing Insider: Thanks again Gabriel! If you have anything to say to the American fans, feel free to do so!